Founded in 2009, Rhine-Waal University of Applied Sciences (HSRW) is one of the youngest universities in Germany. 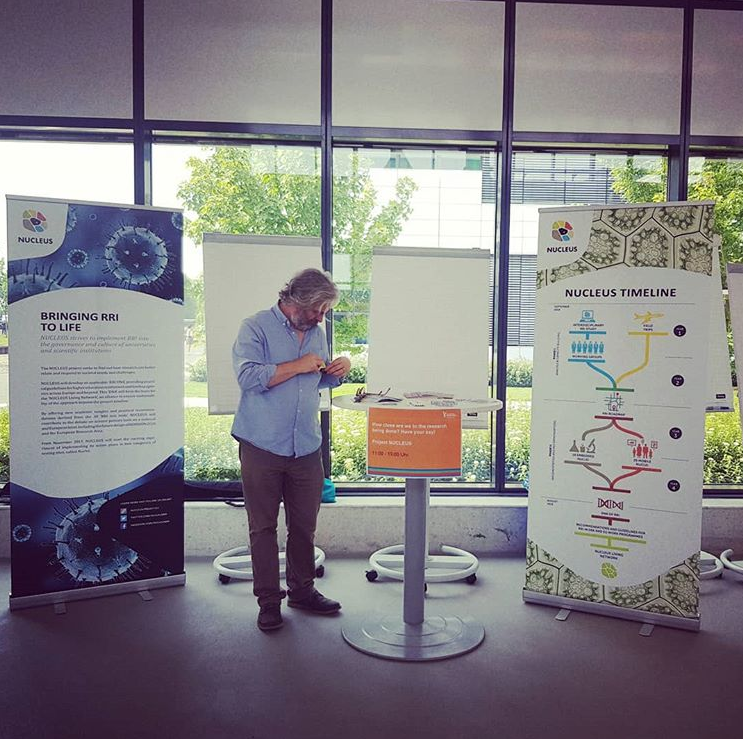 The major goal of the Embedded Nucleus at HSRW is to build upon this “founding history” by connecting Responsible Research and Innovation processes with knowledge-based development strategies and socioeconomic challenges in the Lower Rhine region. During the national competition “Innovative Hochschule” in 2016/2017, the university was asked to define a) its future mission and b) an enhanced transfer strategy, specifically related to regional needs and challenges. The results were integrated into the university’s Strategic Development Plan in which HSRW expresses a strong commitment to establish ties and pursue ongoing alliances with regional partners and specific socio-economic development strategies. At the start of setting up the EN it was agreed that the main partners to establish institutional bridges would be the ZFIT (Center for Research, Innovation and Transfer), the HSRW Presidium, and the regionally renowned Public Engagement institutions FabLab, based in Kamp-Lintfort; and Climate House, based in Kleve. Instead of signing a “Vision Statement”, the university government asked the project management to develop a “Strategy Paper” summarizing the main tasks of the NUCLEUS Action Plan in a language and form external stakeholders can understand. This document was finalized in spring 2018. Between October 2017 and June 2018, a series of at least 20 meetings and one-to-one conversations were held with all institutions fostering knowledge-transfer, relationship management and stakeholder dialogues at HSRW (FabLab, Climate House, Green FabLab, ZDI) to communicate the EN Action Plan and check potential ways to develop the cooperative formats and activities mentioned in the Action Plan. The results of these individual meetings came together in an interdisciplinary workshop in December 2017. When HSRW President Heide Naderer presented the NUCLEUS project at a meeting with the major of Kleve and the local governance on March 2018, it was agreed to integrate the EN approach in upcoming joint efforts to develop a new transdisciplinary “Innovation Centre” linking city and university. City councilor Dr. Jürgen Rauer agreed to name a responsible NUCLEUS contact person in the municipality of Kleve. Also, in June 2018 selected stakeholders were defined to form a “NUCLEUS Committee” at HSRW involving stakeholders from all Cells, representing the region and the university. First meetings are scheduled for July and November 2018, and for March and July 2019. In order to link research and innovation at HSRW to local and regional challenges and developments, the EN team conceptualized a regular debate-forum entitled “DenkWerkStadt” (ThinkTankCity/CityLab) which will be put in place in October 2018. After each forum, each topic will be analyzed for potential transdisciplinary research projects. In the same transdisciplinary line, the ZFT Transfer Department and the new Public Engagement Unit at the University suggested that the HSRW Campus in Kamp-Lintfort would focus on integrating the upcoming Federal State Gardening Exhibition to encourage new forms of collaborations related to Sustainability, Tourism and Green Economy. The NUCLEUS Project was present at the HSRW Open Day on June 2018 where the team shared the RRI approach and the planned activities for the upcoming months. Also, in order to stimulate co-responsibility of all actors involved in the process of research and innovation, the EN team developed the concept of Student Parliaments. These parliaments will invite students from regional schools to discuss research topics related to a specific challenge of the Lower-Rhine region together with scientists and regional policy makers. In participating in these Student Parliaments, HSRW researchers will learn to see themselves as responsive partners of citizen-dialogues and contributors of evidence to challenge-driven questions, but not as the sole leaders of policy making decisions. The topic of the first Student Parliament will be “The Future of Energy”. 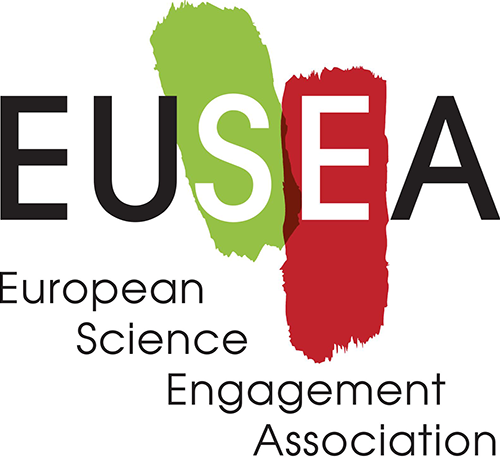 It was agreed in May 2018 that, in a joint effort with the NUCLEUS Committee, the EN team will develop the format of an “Open Science Forum” at HSRW. This event will showcase co-creative, RRI-related research processes, foster dialogues on pressing societal challenges and present different forms of innovation to the public: economic, social and cultural. Finally, the EN will provide “Open Spaces” in February and April 2019 to encourage reflections about their roles in society, potential topics and formats linking science to society. In order to foster RRI-oriented research processes an RRI training module was developed for students and researchers. These trainings will be announced and offered at HSRW starting in October 2018. A formal training certificate will be provided by HSRW to encourage and active participation. Also, together with the university governance/transfer department the EN team decided to create a new incentive for RRI-oriented Research and Innovation at HSRW. At the “Academic Annual Celebration” a price for “RRI/Open Science” Projects or Initiatives will be announced by the university. If you want to know more about the Embedded Nucleus at HSRW, write to Dr. Annette Klinkert.